I know I'm a Canon shooter. 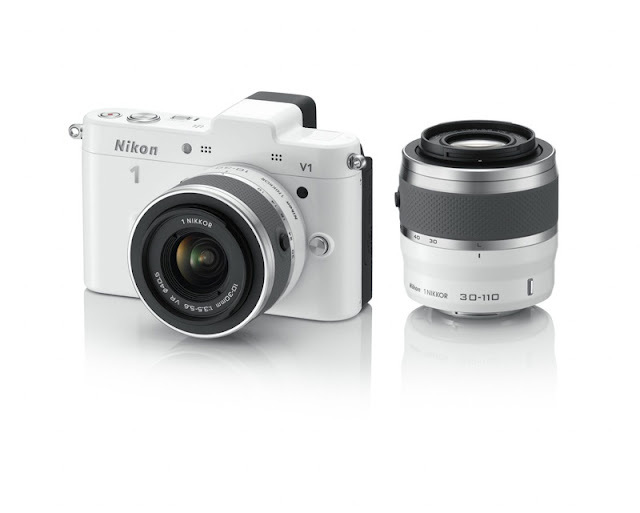 But the Nikon V1 really caught my eye for a small personal point and shoot camera. I made the purchase about 2 months ago and I am happy with my purchase. Specs: The Nikon V1 includes a 10.1 megapixel CMOS sensor, dual-core EXPEED processing engine, a 1200fps slow motion capture mode, 10fps burst shooting, 3-inch LCD for reviewing the pictures taken and support for Full HD video capture. Nikon also introduces a series of lenses designed for the camera, including a 10mm f/2.8 prime lens, a VR 30-110mm f/3.8-5.6 lens, the VR 10-100mm f/4.5-5.6 and a bunch of other accessories. I purchased the 10-30 and the 30-110 as well as an external flash (the V1 does not have a built in flash but the little brother J1 does have a built in flash). The camera performs well, focuses quickly and produces nice files. My only complaint is that I wish the camera had a lock button for the photo selector dial. It moves too easily to another setting but accidentally rubbing against my clothes.